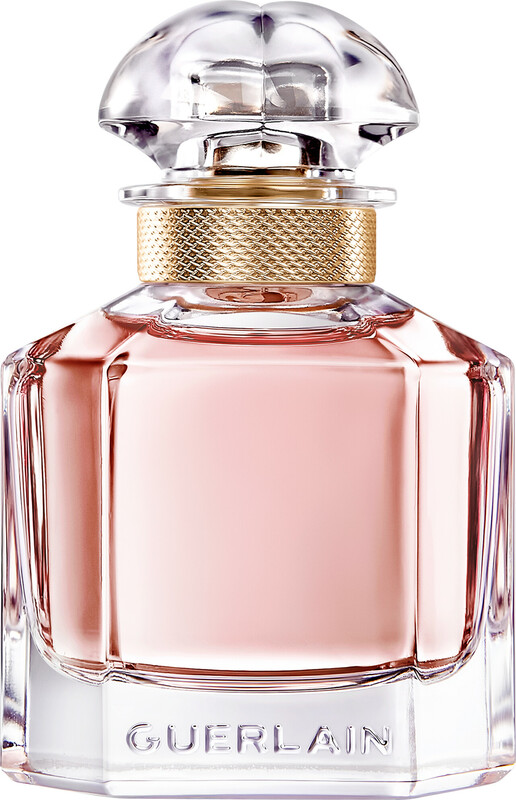 An intimate fragrance, Mon Guerlain was created for women who are strong and free. 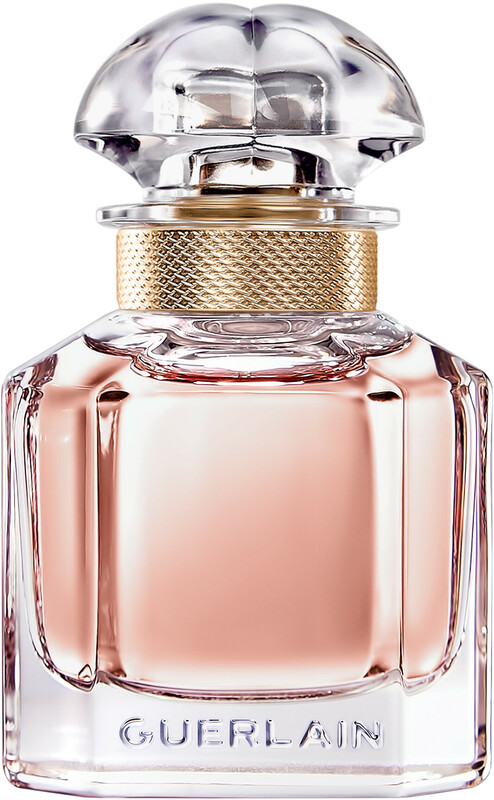 Its beautifully crafted scent is inspired by the meeting of two icons: the fearless grace of Angelina Jolie, and the knowledge and heritage of Guerlain. The resulting aroma preserves the mystery of eternal femininity, enhanced by exceptional raw materials from across the globe. The fresh oriental composition of Mon Guerlain is crafted from the vibrancy of Provencal Carla Lavender, joined by the enveloping sensuousness of Vanilla Tahitensis from Papua New Guinea. Sambac Jasmine, picked at sunrise in India, sews the fragrance together with a thread of finesse, before Australian Album Sandalwood expresses the resolute strength of all women. GUERLAIN Mon Guerlain Eau de Parfum Spray is rated 4.9 out of 5 by 14. Rated 5 out of 5 by FrancescaN from Pure Heaven I received a sample of this with a previous ESCENTUAL order, and didn't actually try it for a few days. When I did, oh my lord! I fell in love with it immediately. The actual bottle is a pure French perfumery design, very chic, very classy. The parfum is a feminine pink which is very appealing aesthetically to the eye. The fragrance itself has many of my favourite accords blended expertly to cover your body " in an invisible tattoo" of sambac jasmine, Carla lavender, sandlewood, and vanilla. 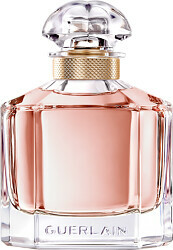 I spray myself in Mon Guerlain Parfum and I'm enveloped in a heavenly, heady, feminine cloud that really lasts all day. All day not just a couple of hours like some fragrances do. This is my first Guerlain parfum ever, and I have tried many, many different scents from fragrance houses over the years. The pedigree of this fragrance goes back to 1828 and since it's beginnings has produced some iconic names, for example Shalimar. But this Mon Guerlain parfum, for me, is pure heaven. I am so happy to have discovered it and this will now be a permanent pleasure in my life. Thank you Escentual for introducing me to it. Rated 5 out of 5 by GMB1 from Great perfume Love the aroma of this perfume. The composition of the ingredients from around the world are beautifully combined by a master of perfume. 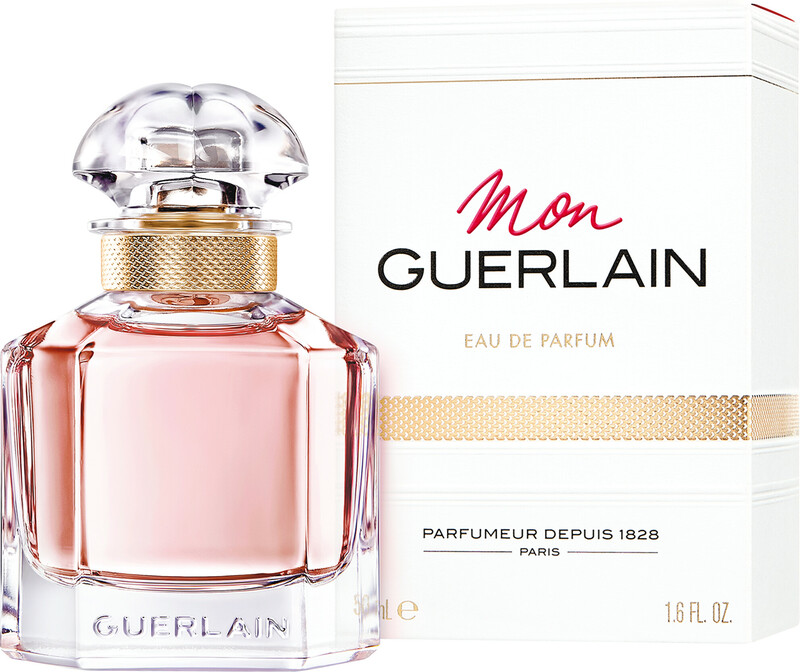 Rated 5 out of 5 by myrtle from Guerlain i am one of the many who still bemoan the loss of Guerlain's Parure (so you know I must be pretty old) but find Mon Guerlain comes fairly close to that classic. i wear perfume every day and feel undressed without it. i like my perfume to be noticed by other people and many ask "What are you wearing" . Mon Guerlain is warm and confidence-building. I wouldn't be without it.